Sony’s lineup of wide angle lenses expanded rapidly this year and according to Lensrentals the new Sony FE 16-35mm f/2.8 GM is the best of them all by far. I hope I have the opportunity to try one soon, but you really can’t go wrong with any of Sony’s wide lenses. I will probably wait until the star eater issue is completely corrected. I cannot stress enough that we’re splitting hairs. These are all excellent lenses, and I would recommend them for different reasons to different people. 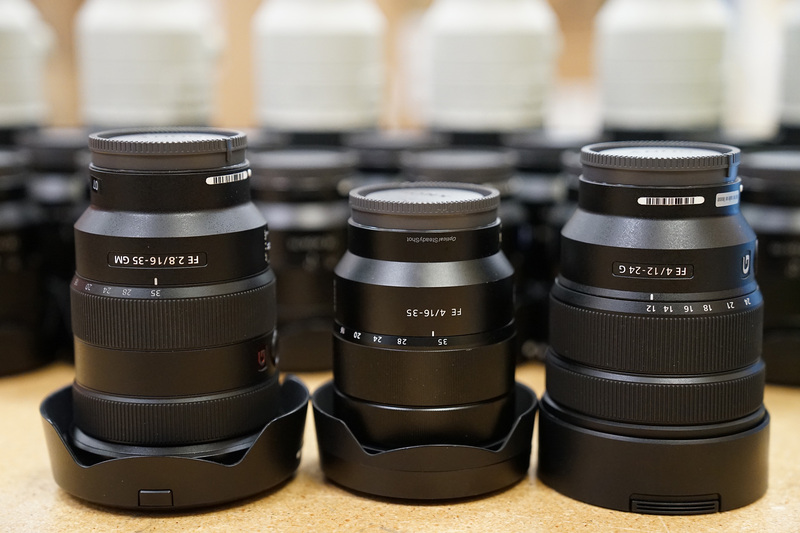 However, all things considered, the Sony 16-35mm f2.8 GM will outperform all of them. As for AF performance, it is pretty impressive and you can see an example of it below since all three performance about the same according to Lensrentals. Sony is making some of the best lenses around right now, but they can be a little expensive. It’s good that there are also producing plenty of options too. You can read the full review here at Lensrentals. This entry was posted in Sony lenses and tagged Sony 12-24mm f/4 G, Sony 16-35mm f/2.8 GM, Sony 16-35mm f/4 ZA. Bookmark the permalink. Trackbacks are closed, but you can post a comment.